Bavette is a French term meaning “bib.” A bavette is a necklace made from multiple bead strands of unequal length brought together at the clasp. 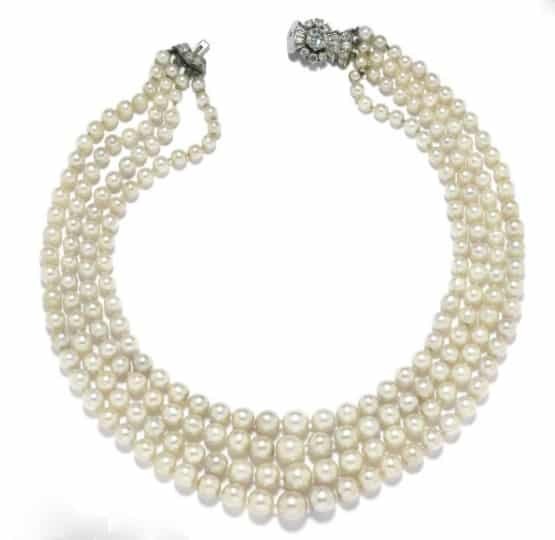 Bavette necklaces are often composed of pearls. Natural Pearl and Diamond Bavette Necklace.